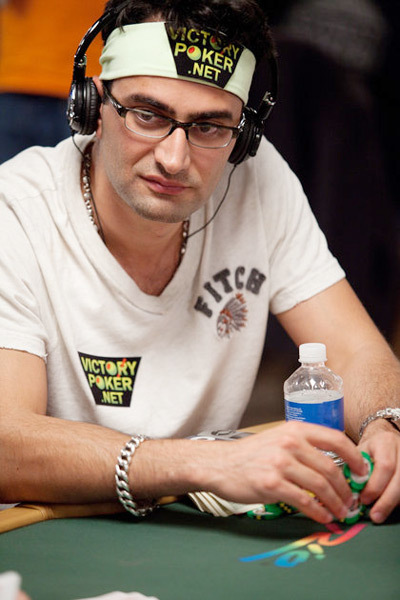 Born on December 8, 1978 in Tehran, Iran, Antonio Esfandiari is a professional poker player that has won a bracelet and finished in the money at thirteen major events. He has at least 35 significant cashes. Nevertheless, Antonio is probably best known for his chip trips. His ability to perform elaborate and impressive manipulations of poker chips and cards using his fingers is a byproduct of his earlier career as a professional magician. 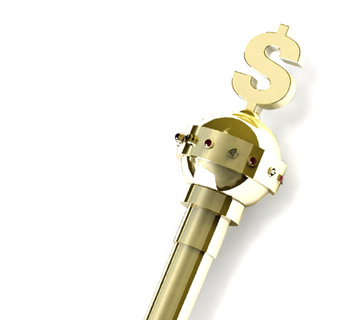 These tricks have earned this popular high-stakes poker player the nickname "The Magician." Antonio Esfandiari's given name is Amir. At age 9, his family moved from Iran to San Jose, California. The area in which he lived was a Mexican-American community. His friends came to call him Antonio, and by the time he graduated high school, Antonio was the name he identified with. He also had a budding career in magic to consider, and he felt that the name Antonio was better suited to it. So at 19 years old, he officially changed the name, and embarked on a career in magic in Los Angeles and Las Vegas. Antonio did not grow up playing poker. In fact, his first real exposure to the game came at age 20 while working as a magician. While performing, an associate invited him to a private game of Texas hold 'em. Antonio went for the social interaction more than anything other reason, but once he started playing, he recognized the allure. It fascinated him, and he quickly realized that the human element that is so crucial to the game had so much in common with the relationship between an illusionist and his audience. In the poker world, Antonio's breakout year occurred in 2004. First, he won nearly $1.4 million at the Los Angeles Poker Classic of the World Poker Tour (WPT). Several months later, he won a bracelet and nearly $185K by finishing first in the $2,000 Pot Limit Hold 'em event of the World Series of Poker (WSOP). Those finishes garnered him a great deal of attention, and gave him the opportunity to appear on television as part of the Poker Superstars Invitational Tournament, GSN's High Stakes Poker and NBC's Poker After Dark. The next big win for Antonio Esfandiari came in 2008 when he made the final table of the PokerStars.com European Poker Tour (EPT) Grand Final in Monte Carlo. He only finished in the eight spot, but that earned him €168,000, approximately $266K. His best finish in the WSOP Main Event came the following year when he finished 24th, winning $350K-plus. In 2010, he won his second WPT title by winning the $10,000 Doyle Brunson Five Diamond World Poker Classic, which earned him approximately $870,000. Currently, Antonio Esfandiari serves as a sponsor for Victory Poker, and he headlines a team of Victory Poker Pros that includes Jonathan Little and Paul Wasicka. In addition, Esfandiari co-stars with Phil Laak on the show I Bet You, on MOJO HD. In I Bet You, Antonio and Phil travel around the U.S. betting on just about anything other than poker. Also, Antonio serves as the face of the WPT's highly successful Poker Made Millionaire marketing campaign. A big part of Antonio Esfandiari's success is his charisma. It is easy to see why he was a successful magician, and it's obvious why he is so beloved and successful on television. He's young, rich, charming and loves to have fun, and he has earned his spot as the poster boy for modern poker success. Antonio, who now makes his permanent home in Las Vegas, is an important figure in modern poker culture, and his fans around the world are expecting big things from him in the near future. 30 Spots Filled for "Big One For One Drop"